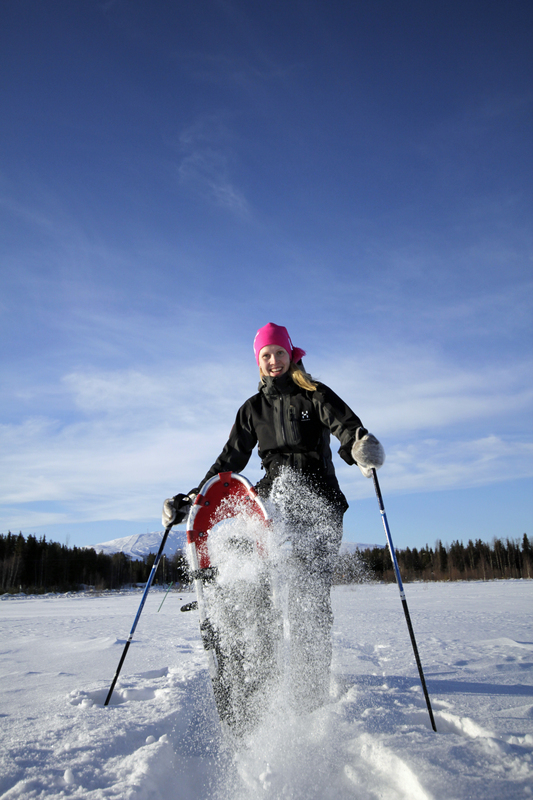 Snowshoeing is a fun way to explore arctic nature and to get to pristine locations where there are no other people. 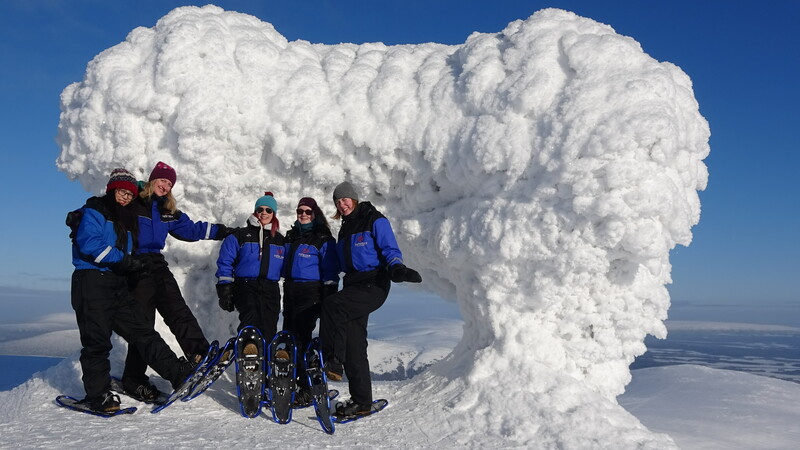 Snowshoe walking is a fun way to explore Arctic nature and to get to pristine locations where there are no other people. 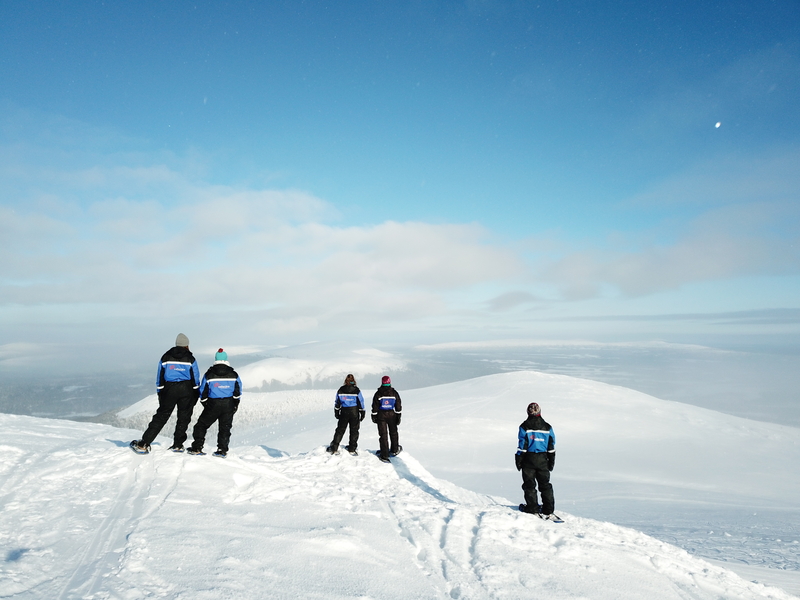 At first, we take a ride with the gondola lift to the top of the Ylläs Fell where we can see the beautiful scenery over the neighbouring fells and all the way to Sweden. After having a coffee in a mountain top café we start walking down along the treeless fell side accompanied by this amazing scenery, and finally through the snowy gulch and forest.